• Google Calendar • Outlook • Outlook Online • Yahoo! These women and men are the technical, creative, idealistic visionaries who are working behind the scenes to reshape the future of business and bring the world of tomorrow to us today. Some of them may not be household names (yet), but they represent the best of what’s next. Check out the highlights now. Andy Rubin is the founder and CEO of Playground Global, a venture studio that provides investment and resources for tech startups working in the area of hardware and AI. He is the co-founder and CEO of both Android and Danger (maker of the "Sidekick", a precursor to the modern smartphone). Rubin joined Google in 2005 via the acquisition of Android, which under his leadership became the most used operating system in the world. He also built Google’s mobile and digital content businesses and launched products and managed teams responsible for Nexus branded handsets, speech recognition, predictive assistants, music, movies and more. Earlier in his career, Andy helped build and ship WebTV, the first interactive television-based internet service, and led the development and shipment of the Motorola Envoy, one of the first wireless PDAs for General Magic. David Limp leads the team that develops Amazon's famous household gadgets. Since his start in 2010, he has worked to translate the e-commerce giant’s central mission – to be "Earth's most customer-centric company” – into compelling hardware and services. Limp also works to ensure that Amazon’s most forward-thinking applications are reflected in products like the new Echo Show, the Kindle, and even Alexa. (Next up for Limp: self-replenishing machines that harness the power of connectivity.) Limp has a long history with consumer electronics. Before Amazon, he was senior vice president at Palm and also spent nine years at Apple, and served as a Venture Partner at Azure Capital, the San Francisco–based venture capital firm. Limp has a B.S. in computer science and math from Vanderbilt and an M.S. in management from Stanford University Graduate School of Business. Dr. Jennifer Doudna is redefining what’s possible with genetic engineering. As an internationally renowned professor of Chemistry and Molecular and Cell Biology at U.C. Berkeley, Doudna and her colleagues rocked the research world in 2012 by uncovering a simple way of editing the DNA of any organism using a common protein found in bacteria. Doudna’s novel approach of having proteins proactively ‘snip’ DNA into new sequences has opened the floodgates of possibility for non-human and human applications including assisting researchers in the fight against HIV, sickle cell anemia and cystic fibrosis. Today Doudna is widely recognized as a leading expert on RNA-protein biochemistry, CRISPR biology, and genome engineering, and currently holds memberships with the Howard Hughes Medical Institute, and Lawrence Berkeley National Laboratory, along with the National Academy of Sciences, the National Academy of Medicine, the National Academy of Inventors and the American Academy of Arts and Sciences. Jim McCarthy’s experience lies at the intersection of commerce and innovation. As Visa’s executive vice president of Innovation & Strategic Partnerships, McCarthy is responsible for developing the company’s innovation efforts. Under his leadership, consumers and merchants alike now have the Visa Token Service, a new security technology that has become the standard for payment security and fraud prevention in mobile payments. Jim oversees Visa’s open platform program, Visa Developer, which offers access to Visa products and services via readily consumable APIs in an effort to enable speed to market and enhance overall client experiences. Earlier in his Visa tenure, McCarthy was Head of Emerging Products for Visa USA, where he drove the coordination, deployment and management of emerging products and payment services. Prior to joining Visa in 1999, McCarthy worked at IBM where he served as the senior client representative to Bank of America. Jonathan Nolan crafts stories that explore both the power and mysteries of technology. As half of the visionary team propelling HBO’s ground-breaking western sci-fi thriller Westworld, Nolan uses his popular television and film projects to examine subjects like artificial intelligence, human-machine relationships, and the ethics of machine learning. He saw early success (and an Academy Award nomination) by co-writing Memento alongside his brother, Christopher. As a writing team, the duo has also racked up writing credits for The Prestige, The Dark Knight, The Dark Knight Rises, and Interstellar. With his wife, Lisa Joy, Nolan runs production company Kilter Films. Nolan and Joy are currently working on Season 2 of Westworld while also juggling various film projects. Dr. Lily Peng is one of the many minds working to apply Google Brain to medicine. She is part of a special group of researchers focused solely on medical applications for AI. She says her goal isn’t to replace doctors, but to build a system that will help overworked physicians in the developing world examine many more patients over the course of a day. “We want to increase access to care everywhere,” says Peng, who imagines a future where doctors work alongside AI to examine medical images to detect all sorts of ailments. Prior to Google, Peng cofounded Nano Precision Medical, a startup focused on developing tiny implantable capsules that automatically dispense life-saving medicines to patients. Lisa Joy writes genre-bending screenplays for hit television shows and movies. In Westworld, Joy and co-creator husband Jonathan Nolan use the captivating sandbox of an automated wild west theme park to explore themes like artificial intelligence to their fullest extent, probing the limits of human emotion. Joy is now working on a film adaptation of another epic tale of confrontation between humans and bots, Battlestar Galactica, for Universal Pictures. Previously, Joy wrote for the Emmy Award–winning show Pushing Daisies and was co-producer on the spy series Burn Notice. Before becoming an in-demand Hollywood screenwriter, Joy had a career as an entertainment and technology attorney. She was working at McKinsey when she suddenly quit to pursue her dream of writing professionally. Joy is a graduate of Harvard Law School­. Norman Foster is Executive Chairman and Founder of Foster + Partners, one of the most influential architectural design firms shaping cities across the world. His projects include the Reichstag in Berlin, the Great Court of the British Museum, the Museum of Fine Arts in Boston, airports in Hong Kong and Beijing and headquarters buildings for Hearst (New York), Apple (Cupertino), Bloomberg (London), Comcast (Philadelphia) and the Hong Kong and Shanghai Bank (Hong Kong). His current research projects, in association with The European Space Agency and NASA, are exploring solutions for the creation of habitations on the Moon and Mars. He is President of the Norman Foster Foundation, based in Madrid with a global reach, promoting interdisciplinary thinking and research to help new generations of architects, designers and urbanists anticipate the future. In 1999, he was honored by The Queen with a life peerage, taking the title Lord Foster of Thames Bank. Richard Craib teaches machines to trade in the stock market. At the helm of Numerai, the young founder has devoted the fledging hedge fund to his two core areas of interest: pure mathematics and data science. In practice, Craib’s fund works less like an automated army of quants and more like a collaborative AI research project; while machines make the trades, Numerai’s sprawling community of anonymous data scientists compete to create the best trading algorithm. (He even created his own crypto-currency, dubbed the Numeraire, to compensate the most prolific contributors.) His ultimate goal for both Numerai and the Numeraire is to introduce more of an open source approach to Wall Street. Before he was teaching machines the ins and outs of investing, Craib was a data scientist at an asset management firm with $15 billion under management. 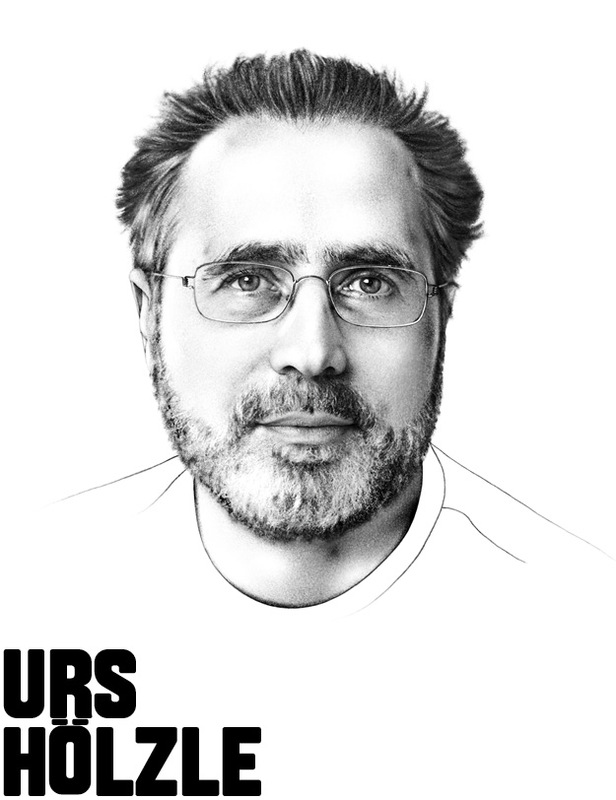 Urs Hölzle oversees the design and operation of the network infrastructure that powers Google’s sprawling services. On top of orchestrating the unseen world of servers and data centers running the search giant’s apps, Hölzle develops the software infrastructure that keeps everything afloat. Lately, he’s spending his time on Google’s Cloud Platform, expanding the reach of his team’s pioneering infrastructure work to developers around the world. (His team’s research and design efforts led to a ground-breaking data center architecture that cuts average power consumption in half.) Urs joined Google as its eighth employee and first vice president of engineering after having been an associate professor of computer science at the University of California, Santa Barbara. Previously, he contributed to the efficient implementation of virtual machines for programming languages such as Java. Yasmin Green solves geopolitical problems across many sectors around the globe. Working from far-flung locations like Iran, Syria, and Nigeria as a leader and manager, Green has served in various capacities at Google, including head of sales strategy and operations for Southern Europe, the Middle East, and Africa. As head of research and development at Google's technology incubator Jigsaw, Green tackles extremism, investigating how terror recruiters use the Internet, and creating tools that divert the attention of their intended targets. Green's team also uses machine learning to recognize comments of any kind that are inflammatory—to allow online discussions to stay civil. Green is a senior advisor on innovation to Oxford Analytica, co-chair of the European Commission's Working Group on Online Radicalization, and a board member for the Tory Burch Foundation. Nicholas Thompson was named editor in chief of WIRED in 2017. Prior to joining WIRED, Thompson served as the editor of NewYorker.com. During his tenure, monthly readership increased by 700 percent. He also oversaw the redesign of the website, the launch of The New Yorker Today app, and the introduction of an online paywall. Before The New Yorker, Thompson was a senior editor at WIRED. Thompson has written about politics, technology, and law for numerous publications. His book “The Hawk and the Dove” was published to critical acclaim. He is a cofounder of The Atavist, a National Magazine Award–winning digital publication. Robert Capps is head of editorial at WIRED, where he oversees editorial content on all platforms, including the magazine, WIRED.com, and live events. In his career at WIRED, he has served as deputy editor, articles editor, director of editorial projects, and products editor. Before that he was editor in chief of MacAddict magazine. Capps holds degrees from Stanford and San Francisco State University. He lives in Marin County, California. Richard Dorment is a senior editor at WIRED with a focus on longform features, and he most recently edited the June 2017 cover story on Apple’s revolutionary new corporate campus. Prior to joining WIRED in 2016, Dorment was a longtime editor at Esquire, and he has appeared on Meet The Press, Today, Hardball with Chris Matthews, CBS This Morning, and Morning Joe. He lives in New York City with his family. Sarah Fallon is a senior editor at WIRED, where she co-manages the front of book, edits longer essays, wrangles packages, and commissions features. Before joining WIRED, she was the managing editor of Edutopia magazine, and before that, she was the managing editor of Red Herring. Fallon has a degree in English from Pomona College, and she currently lives in Alameda with her husband and two sons. Issie Lapowsky is a senior writer for WIRED, covering the intersection of tech, politics, and national affairs. Prior to joining WIRED, Lapowsky covered startups and small business as a staff writer for Inc. magazine, and before that she worked for the New York Daily News. Lapowsky received a bachelor’s degree from New York University. She currently lives in Brooklyn. Peter Rubin oversees WIRED’s culture coverage in the magazine and online, as well as writing frequently about entertainment and virtual reality. Prior to arriving at WIRED in 2011, he was a feature writer and editor for more than a decade, penning cover stories for GQ, Elle, Details, Good, and many other publications. Rubin holds a master’s degree from Columbia University and graduated from Williams College, and is currently at work on a book about virtual reality for Harper Collins. He lives in Oakland with his wife. Jason Tanz is the site director at WIRED, where he has worked since 2007, and where he has written about everything from social media celebrities to the rise of machine learning. Before coming to WIRED he worked at Fortune Small Business, Fortune, and SmartMoney magazines, and his writing has also appeared in The New York Times, Esquire, and Spin, among many other publications. He is the author of Other People’s Property: A Shadow History of Hip-Hop in White America. Andrea Valdez worked at Texas Monthly from 2006 to 2016, most recently as the editor of its website. She is now the editor of WIRED.com. Marcus Wohlsen is senior editor of WIRED's business channel. He is also the author of Biopunk: DIY Scientists Hack the Software of Life (Current 2011), recently optioned for development as a television series. Before joining WIRED, he worked as a reporter in the Associated Press' San Francisco bureau.